Teenagers and stress seem to go hand in hand, and there are good reasons for that. Whether you're a teen looking for solutions, or a parent or other adult trying to help, you'll find some great tips here. The teenage years are stressful for a lot of reasons, and at the top of the list is that it is a time of changing identity. You're not a kid any more, and you're not completely an adult. Teenager is not necessarily a positive term. I don't think there are any positive terms for teenagers. I guess that's why you don't hear kids calling themselves "adolescents" or "teenagers" very much, if ever. Let's make it better! What Causes Stress For Teenagers? 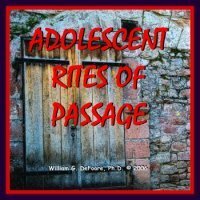 When you combine the idea that adolescence is a time of changing identity with the fact that it's often seen in a negative light, the teenage years can actually create an identity crisis for some kids. As adolescence begins, parents have to let go of the "child" they loved and controlled. The teenager naturally wants more freedoms, but is not too thrilled about taking the responsibility that goes with the freedom. The parents may want to "keep the teen a child," making the transition into adulthood more difficult than it already is. The teenagers might rebel, become angry, or get depressed. Social demands and peer pressure, academic expectations, and a "too busy" schedule just add more to the stress they naturally experience. These are just some of the general causes of the teenagers and stress problems. Others include angry parents, parental divorce, and social anxiety. You can probably think of some more. What Can You Do About Teenagers And Stress? First and foremost, be a good role model. Be sure you are using good stress management strategies in your own life. Spend quality one-on-one time together, ideally doing things your teen likes to do. Ask them about what they're interested in, and try to understand it and why it matters to them. If you don't understand what your kids are passionate about, you don't understand your kids, and you won't be able to help them with their stress. Make sure your family has time together, ideally with regular dinners together. Ask around the table, "What was the best and worst thing that happened for you today?" This will get them talking. When it is your turn, try to emphasize the positive more than the negative. Your kids need to feel that being an adult is a good thing. So, one of the best things you can do for them is to show them a good picture of what it means to be a grown up and life a grown up's life. If your kids are stressed out from too much to do, you will need to clear out the schedule somewhat, but always do this with their input. 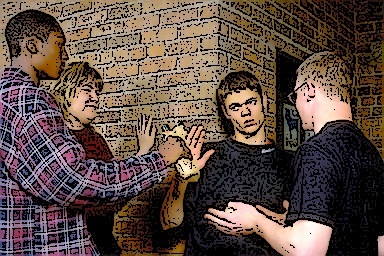 Learn more about teens and stress here. Learn in this audiobook how to honor the adolescents in your life by creating meaningful rituals, celebrations and ceremonies that commemorate their movement from childhood to adulthood. This extremely important time of life is all too often ignored, which leads to many of the problems we see among our youth today. Learn to create your own ritual or ceremony, perfectly suited for the teen in your life.